I spent most of my life ashamed of my anxiety. I felt that it consistently held me back, made me feel as though I wasn&apos;t like everyone else, and had me questioning my decisions on a daily basis. As I&apos;ve gotten older, I&apos;ve realized it&apos;s not something to be embarrassed about because it doesn&apos;t define who I am. It&apos;s something I now have much more control over, but the truth is, anxiety will probably always be a part of my life. The difference is that instead of trying to fight it, I make room for it, and rely on some tricks to make me feel better. 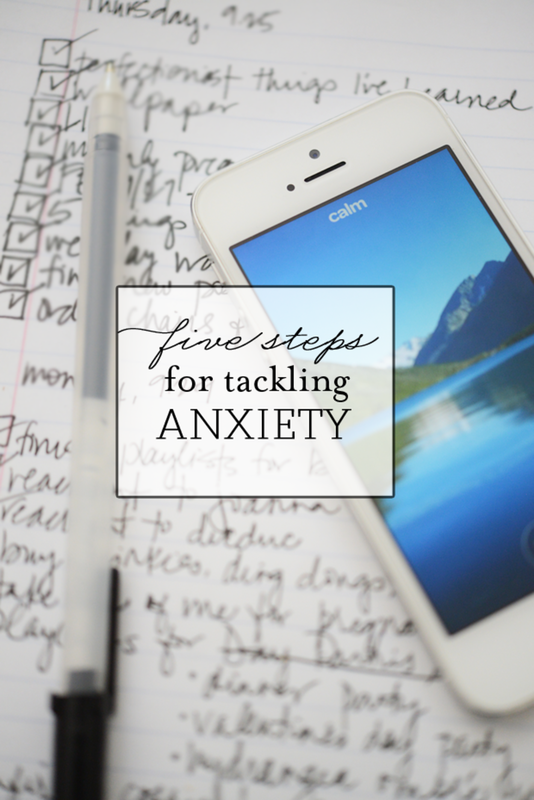 Here, the five things I do to eliminate anxiety. 1. Pinpoint what&apos;s making me nervous. I&apos;m lucky that most of the time, I know what&apos;s making me anxious (I have some friends who can&apos;t figure out what makes them feel so tense). 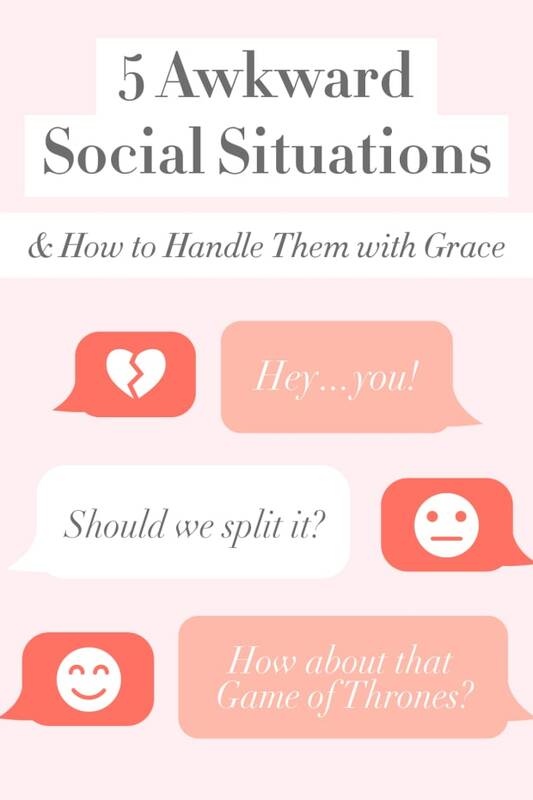 Whether it&apos;s a looming deadline, a fight I had with a friend or a pregnancy concern, I can figure it out quickly. But for those times when it&apos;s not as obvious and I wake up in the middle of the night in a panic, I try to take my time and think about everything that&apos;s going on. More often than not, I&apos;ll realize it&apos;s a bunch of smaller things that have simply built up to the point where they&apos;re stressing me out. Acknowledging what makes me nervous is the first step in finding a solution and relief. 2. Write it down. When I&apos;m feeling overwhelmed, I write down everything that&apos;s on my mind. Most of the items are trivial, but getting it down on paper lets me stop playing things over in my head. Bonus: I&apos;ll be reminded of something that I&apos;ve forgotten about or have been putting off. It feels like I&apos;m emptying my mind so that I have a clear vision of what I need to do in order to feel better. 4. Get moving. When I&apos;m feeling anxious, my initial instinct is to curl up in a ball and stay in bed. And as comforting as that sounds, I try to force myself to get out. Going outside and taking a walk is a nice change in scenery and whether I talk on the phone, listen to a podcast or just try to zone out, I almost always feel better by the time I get back home. 5. Maintain perspective. One of the more crippling thoughts when experiencing anxiety is wondering when those feelings will subside. It feels so permanent that it&apos;s hard to imagine feeling carefree and normal again. But the one thing I always remind myself is that it never lasts forever and that the things that have me anxious in the first place are either not worth worrying about or are out of my control. That has helped me tremendously. I&apos;d love to hear - how do you alleviate anxiety?